And while it can't yet guarantee that no fine detail will be lost in translation, Microsoft's new idea for its video chat platform surely feels like something straight out of science fiction. No longer will our hopes for such a marvel be tagged to imaginary aquatic creatures -- the Babel fish from "The Hitchhiker's guide to the galaxy" -- or improbable "telepathic fields", such as the one cast by Doctor Who's TARDIS to relay any alien language to its pilot in plain English. It all sounds, in fact, quite similar to what Klingons in Star Trek use to make their generally belligerent intentions quite clear: an unseen, but ever-present, "universal translator". The idea that people don't understand each other, it's going to be a thing of the past. 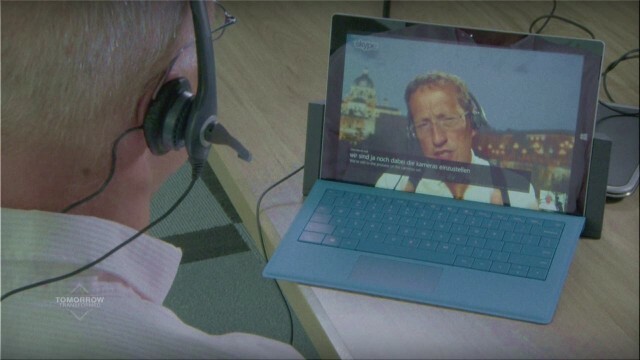 "The idea that people don't understand each other, it's going to be a thing of the past," Gurdeep Pall, Corporate VP of Skype, told CNN's Richard Quest. "In the same way it's hard to imagine a world before you were able to travel to different places and quickly, whether it be in a car or a plane, we'll never think about, wow, those were the dark ages where people couldn't understand each other. That's where we're headed." It will be available as a Windows 8 beta app before the end of the year, but Microsoft is already showing off its English to German functionality, as you can see in the video above.